You can use this module to merge one scrip with another. 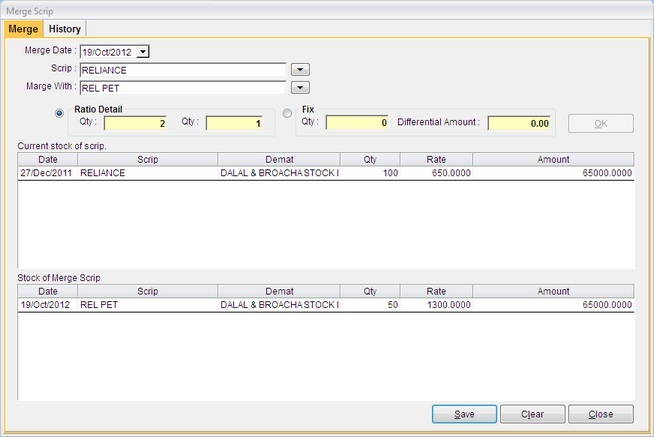 Mostly, this is useful when two companies go for a merger and only one scrip exists after the merger, at such points you can easily use this module and calculate the price and number of the new scrip. 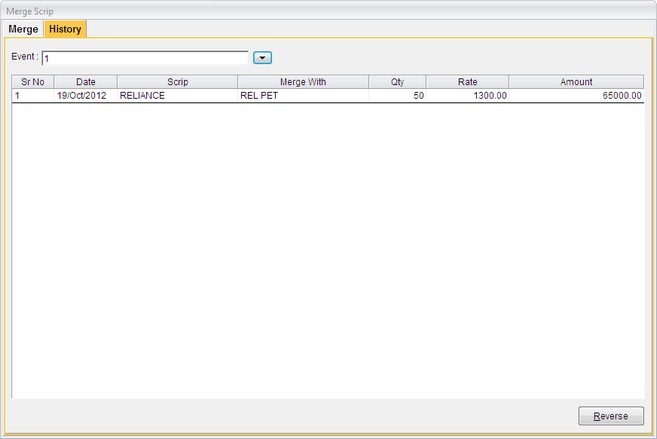 Merge Date Enter merge date. 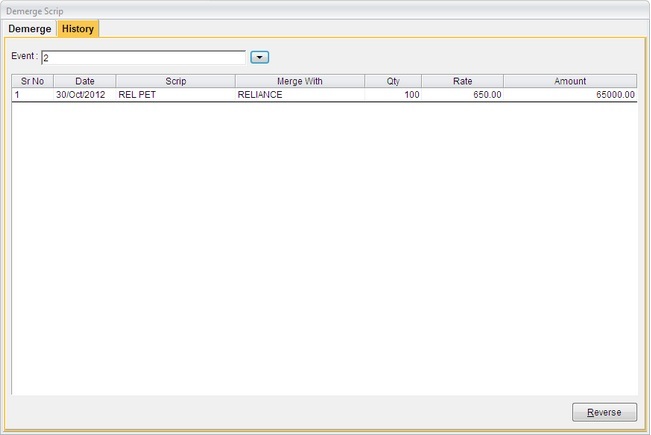 Scrip Select scrip name that merge with other scrip. Fix Other option is Fix qty get from merge. You can see the history of the merged scrips prior to their merger, you can also reverse the affects of the merger from the History Module. You can use this module to demerge one scrip with another. 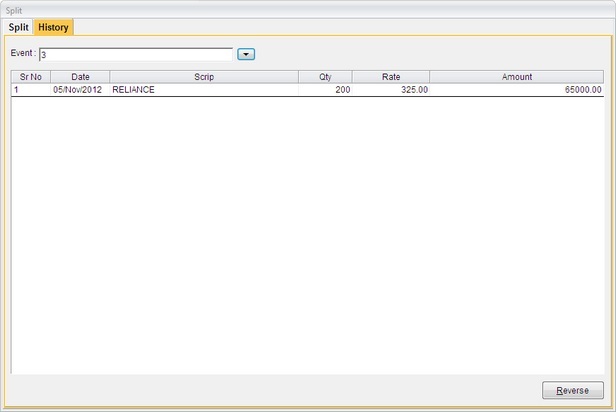 When a one company demerge, at such points you can easily use this module and calculate the quantity, etc. Demerge Date Enter demerge date. Demarge from Select scrip name that demerge with other scrip. Fix Other option is Fix qty get from demerge. You can see the history of the demerged scrips prior to their demerger, you can also reverse the affects of the demerger from the History Module. 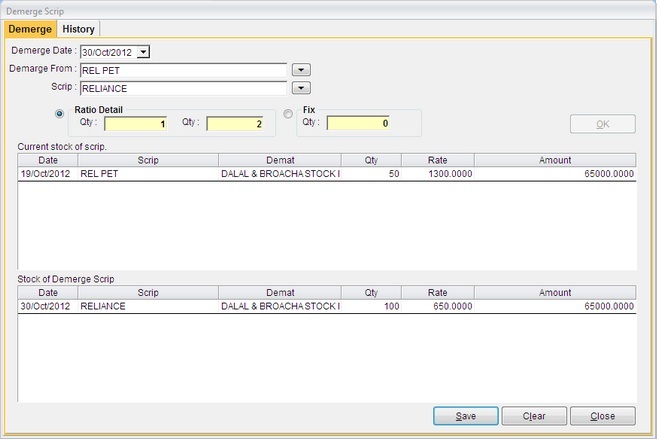 This module helps you split any of the scrip into the quantity you want and as in merge scrip, we can also see the history of the scrip prior to the split and also reverse the affect if needed. Scrip Select scrip that split. Fix Other option is Fix qty get from split.